ojtek Unterschuetz rarely shares information on a new product in Acuhorn's range, but when he does he always has something truly interesting to offer. 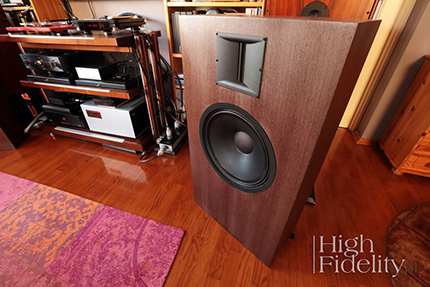 Like when I first saw and heard the tall, narrow, featuring a single driver fullrange speakers, nero125 (review in Polish). It was an unusual design in every respect, because it was made of waxed plywood, and featured no crossover. Beautiful smell stayed in my room for a long time after nero returned to Acuhorn. This was a design clearly referring to the classical techniques of sound reproduction from the 1930s and 1940s, ie. to the relationship between high-efficiency speakers and tube amplifiers. The sensitivity of nero125 was even higher than 94 dB and just a few watts were enough to make them sing. The subsequent models proposed by the company confirmed the direction it took from the start. Strive for perfection was so strong that after a while Wojtek developed his own full-range driver, made with utmost precision, which was used in, released in 2012, Superleggera giovane85. Please take a look at the photographs, which clearly show how complex this design was, despite the fact that after all, there was only a single driver used in it, and thus there was no crossover, and the wiring length was reduced to a minimum. Somewhat earlier, in 2013, the also the first amplifier was designed, conceived as a partner for high-speed horns by Acuhorn. In order to somehow separate the electronics from the basic scope of activities it carried a logo nowe audio (the original spelling). Exterior of these devices is special because they are very low profile and relatively small devices, even those that use tubes. This was possible by eliminating output transformers – this type of design is called OTL (Output Transformer-Less). The mono3.5 amplifier reviewed by us was sort of an exercise of logic – it helped with breaking free from the routine and showed me how different approaches to the same issues might be. The latest Acuhorn's product, loudspeakers model 15, are still different. Number comes from the diameter of a woofer used for this model – it is a 15" (381 mm) monster made by Italian company FaitalPRO operating in this particular case in a bass-reflex enclosure, supported by another interesting driver – a ribbon tweeter by American company HiVi. Both use neodymium magnets. A similar solution used for these drivers is also used by JBL and I'd say it is this brand that would be the closest to the idea behind Acuhorn's "15", although - let me add - only in general terms. It is not the drivers that attract attention when one unpacks these loudspeakers but rather the proportions of their cabinets. This is a very large loudspeakers with a wide front baffle, but limited depth. When in packaging these look a bit like IKEA desks prepared for shipment. Their cabinets were covered with natural oiled veneer and their smell is almost as intense as the one I remembered nero125 by. The crossover frequency is set at 1 kHz, and it is a simple, 1st order crossover. I'd say it is quite low frequency for a tweeter, but at the same time very high for a such a large diameter woofer. This simplifies the design, eliminating many of the problems associated with the more complex crossover, but also suggests a reduction in the frequency range below crossover point. The principle says that the higher the frequency band reproduced by the driver, the radiation pattern is more directional (a phenomenon called "beaming"). And the greater the diameter of the driver, the lower the frequency where narrowing of the beam begins. At 381 mm at the point of crossover there is only a small radiation energy. As alway, however – it's sort of a quid pro quo. Model 15 a offers a high efficiency (96 dB) and flat impedance of 4 Ω, but Acuhorn is able to prepare an 8 ohm custom version. The company declares that bass goes as far down as to 30 Hz and at 30W the SPL of 116 dB is achieved, which translates to a very loud presentation. Model 15 will most likely be working in most setups with low-power amplifiers, because that is the common paradigm in which high efficiency = low power amplifier (preferably tube based). For years though, I've been testing such loudspeakers driving them with powerful amplifiers, because such setup allows me to better assess loudspeakers' quality rather than their interaction with an amplifier. I am not the only one who believes this is a good idea as the famous JBL company also usually drives their horn speakers with large woofers using powerful solid-state amplifiers. The Avantgarde Acoustic prefers such setups too. They've never offered any tube amplifiers, but they do make solid-state ones (more HERE). The model 15's designer seem to agree since one can read in the manual that „a great performance can be achieve also with high-power amplifiers, as long as one is careful when operating the volume control”. The latter is quite important as the HiVi driver's nominal power is just 30W (60W peak). 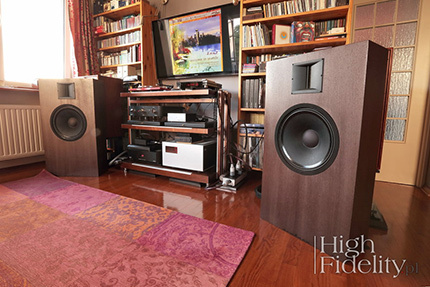 I placed the 15 in exactly the same spots as my Harbeth M40.1 and most other loudspeakers I tested before such as: JBL, Avantgarde Acoustic and Polish Horns FP10 (review in Polish). They must be toed in so that the tweeter radiates directly at listener, because only then woofer is given a chance to use its optimal band. No spikes or anti-vibration feet are included in the package and therefore I placed them directly on the floor. Acuhorn has been a high-efficiency speakers manufacturer, or so called: “Single driver speakers”, since 2003. Our workshop has developed its proprietary solution for audio processing in an Acuhorn acoustic box, consistent for all of our speakers. It has introduced a new standard for the presentation of the soundstage and low frequencies. So far, we presented three lines of loudspeakers, starting with the classic in 2003 with neodymium driver on a metal frame. 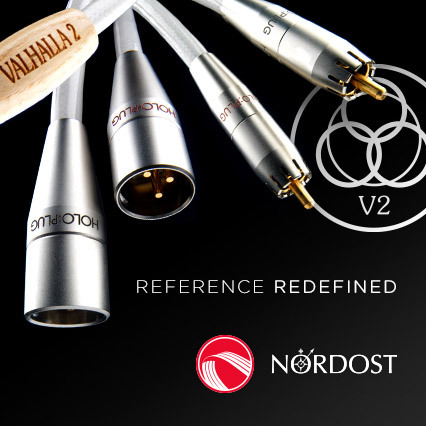 In 2007 we introduced the improved audio series featuring a heavy, CNC machined design. The latest line - superleggera - from 2012, features a wooden frame integrated with the box, and the diaphragm is mounted directly on the wood. I came up with the idea for the Acuhorn 15 already in 2004, when I visited the High End Show in Munich. Back then the Stereoplay magazine presented a very interesting comparison titled: “Superboxen” focused on large loudspeakers. One could have noticed that the speakers with large bass woofers, for example, Focal-JMlab Grande Utopia BE, were able to deliver a different quality of low frequency sounds. The following year in Munich the Stereoplay editor, Wolfram Eifert, repeated such demonstration of a 15-inch speakers using B&W 801D and JBL K2 S9800 loudspeakers. 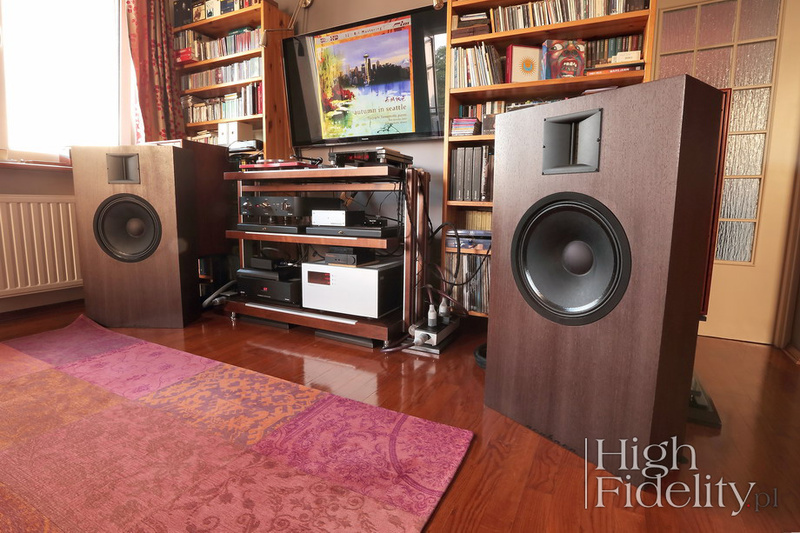 At the same time, remembering very well the sound of full-range Acuhorn speakers, I found the Ascendo listening room with their top level model, System M, where I heard the sound closest to my nero125's. It featured the RT2H-A Isodynamic Ribbon Tweeter by Swan Speaker (you can find more on loudspeakers with this driver HERE - ed.). And so I carried this impression for 10 years in my memory, up to the moment when I decided to implement this idea in a speaker made for my friend. It's a great man who needs a big sound stage and powerful bass. This was to be a combination of the 15-inch JBL driver sound with a high-end ribbon tweeter's, combined in a purist Acuhorn way. 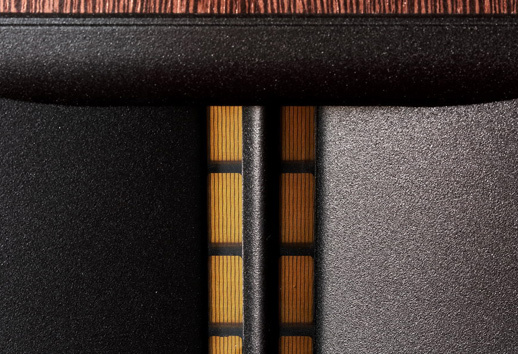 An acoustically tuned cabinet is the basis of this project and it is combined with the purest possible signal's path.